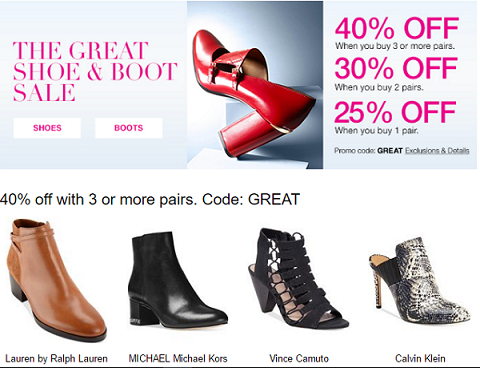 buy 2 pairs, 25% off when you buy 1 pair of shoes. Boots and Booties are part of this shoe sale. when youpurchase three or more.